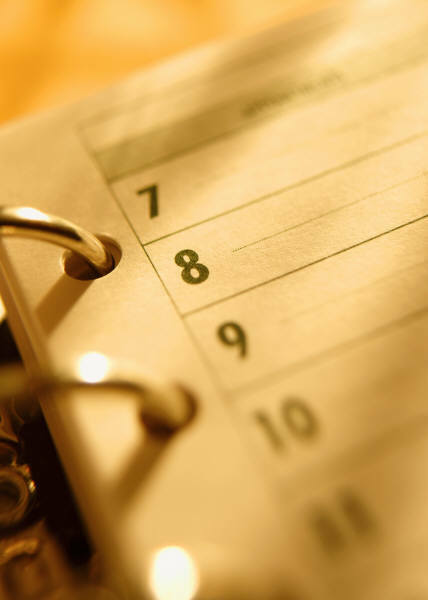 The First 90 Days…and Beyond! 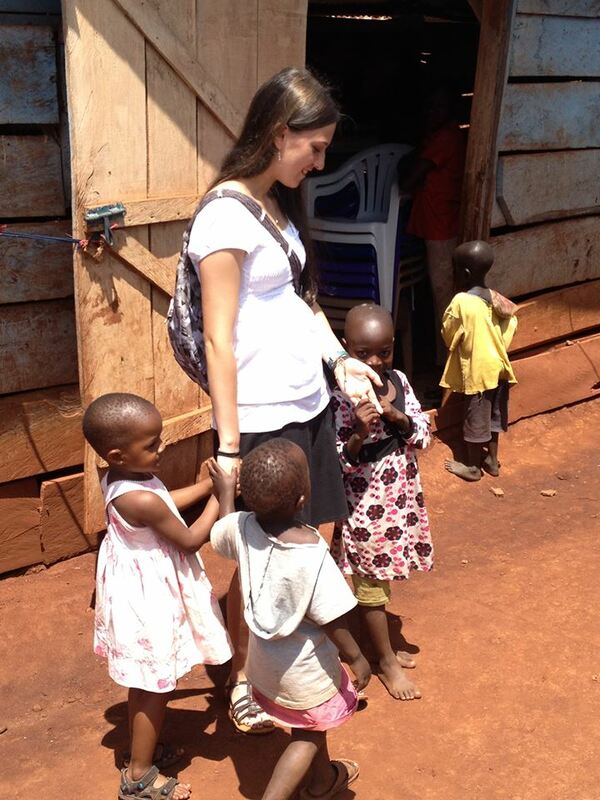 This past Tuesday we completed 3 months in Uganda! Wow! It has been a nice honeymoon period for sure. There have been adjustments, but we’ve enjoyed the transition and we continue to enjoy it. It’s amazing to see how God has gone ahead of each of us to prepare our hearts for this time here so that we could transition easier. So I thought this would be a good time to review what we have been doing and what our plans are for the future. I’ll cover Michelle and the kids first and then walk through the plans I see God revealing to me through our team members, Equip leadership and opportunities as they present themselves. First, Michelle (in Luganda its mukyala wange – pronounced “moo cha lah” “wahn gay,” or “my wife”). Michelle has mentioned to me that she believes the Lord is leading her to be a support and encouragement primarily to the missionaries who are here. She is currently first and foremost a wife, mother and musomesa (or teacher), since she is homeschooling Josh. She is also actively involved in language training, wrapping up participation in a women’s Bible study, meeting regularly with a missionary wife, planning to start a weekly women’s Bible study in August and assisting around the house with projects. She is also providing leadership and training to the children, such as visiting a nearby orphanage that gets only the rare visitor. The girls are in language training. Josh dropped because he is finishing his second year of French at homeschool and he is picking up the Luganda language from the rest of us and Tugume (Too goo may), his 11-year old friend who is one of the Sperling’s children who stayed here with us. 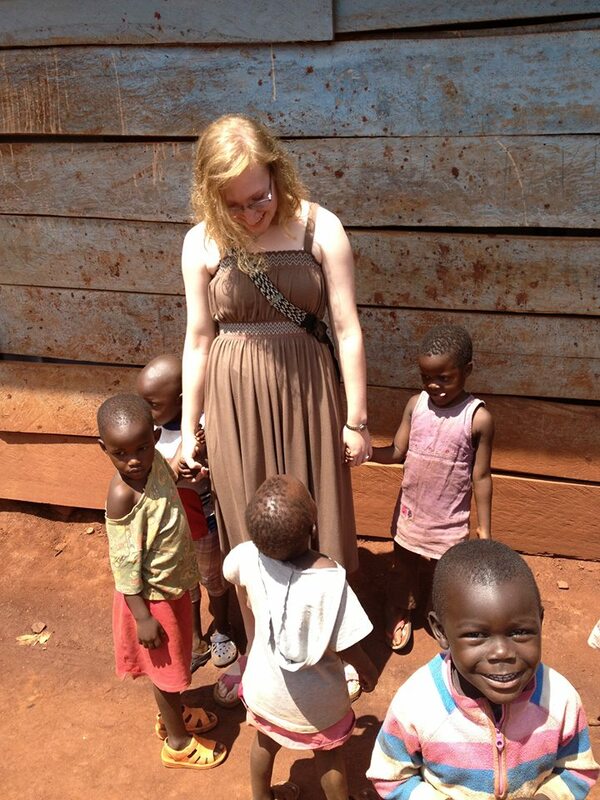 The girls and Josh also visit the orphanage to interact, build relationships, play games and share about Jesus. Like many older teens Alexis and Brittany are trying to determine what steps to take next after high school. I am encouraging them to continue looking at special ministry opportunities and taking educational courses in the Fall. Both help with chores around the house, assist with shopping at the market, baby sit, and tracking money, etc. 1) Immigration papers secured for the family, my work permit and driver’s license. The work permit and driver’s permit is currently in process in the capital, Kampala; less than a two hour drive away. It is a slow drawn out process. 2) Language training – learning how to speak Lugandan. This is a critical step in connecting with the local people. They very much enjoy Americans learning their language. 3) Equip Uganda administrative activities such as setting up policies, procedures, reporting and following the goals and plans of the organization. The team meets monthly to discuss our direction and to also hold each of us accountable and responsible. 4) Discipleship – currently I am meeting regularly with two young men – Samuel and Robert. You know Samuel’s story. Robert is 19 and currently unemployed. It is very difficult in Jinja to get a job. He had his first one and lost it he says because he got sick with malaria and was out of work for 2 days. That is entirely possible here. Like many youth in the States, Robert seeks nice clothing and money for status. He is open to teaching at this point and even asked if he could come to church with us today – something we had tried to get him to do prior to him losing his job. 5) Opportunities and challenges as they arise – this has included getting to know neighbors, visiting at the hospital, building relationships, praying with folks, learning the culture – paying bills, buying and bartering, making application, setting up things, filtering water, etc. 6) Micro-Finance Teaching – This is an exciting development that started this past Wednesday with good feedback and success. I was asked to teach classes as part of micro-finance training. 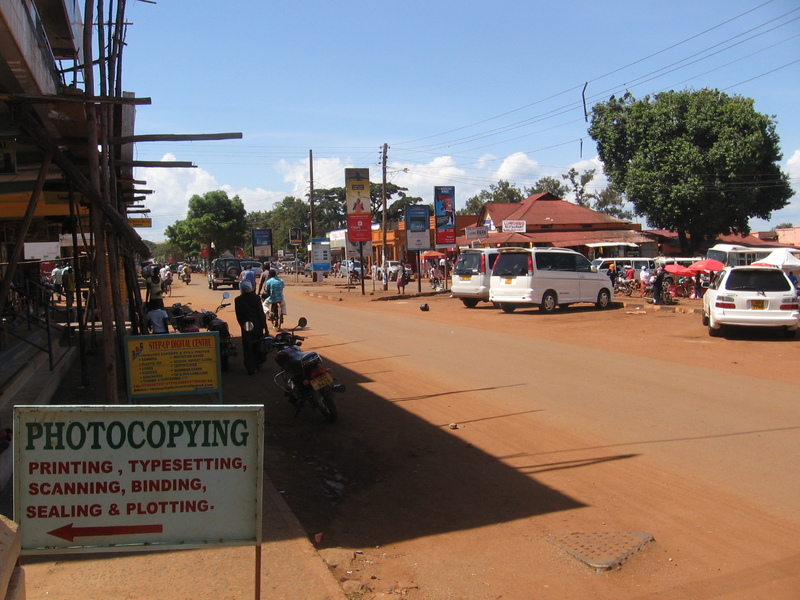 The audience consists of 10 – 40 pastors in Jinja, depending on who attends. The subject I chose was from the JobStart class I taught at Western Youth Institute (juvenile prison) in Morganton before coming here to Uganda. I tie in Biblical teaching. This looks like it will continue and I am excited about it. 7) Keeping up connections and reports with our supporters and donors. 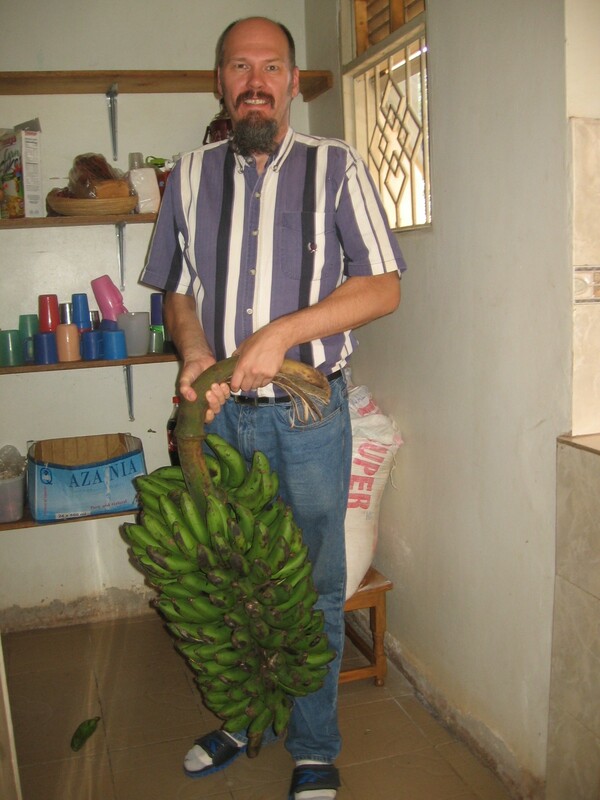 Writing this blog, reports to Equip, contacting supporters through email, FaceBook or phone calls to provide feedback to folks about how God is making provision in Uganda. 8) Balancing money and Jesus – what does this mean? One of the challenges I have written about on this blog is the balancing act and necessary wisdom it takes to know when to assist someone with money and how to introduce them to Jesus, especially when they think their church attendance and/or factual knowledge of Jesus is their proof of their Christianity. I am asked for money regularly! Perhaps as many as 15 – 30 times a week – from 40 cents US to more than $200.00 US. This week I had two new and special requests: 1) one person in the government telling me to pay him almost $100 US for what the government pays him to do. I didn’t pay. 2) I got text’d and called during church today by one person at least 5 times trying to get about $10 from me for a medical clinic appointment. At first I had no idea who this person was, then found out later it was a casual acquaintance I had made in town. The challenge here is similar to the US, Canada and Europe, how do you get people to quit trusting in and desiring money to fulfill their needs, wants and problems and start really trusting in Jesus to the point of life change? Their poverty is deep, and like a drowning person in the ocean, they will latch on to anything (especially American money) that will allow them to float for a few more seconds or minutes. Money or Jesus? Which sustains? The reality is that Jesus and repentance is what we’re about and He will satisfy much more than money. This sets us apart from the humanitarian volunteers here. If I give money (and I do as I pray, think about the decision and/or sense God leading), one week or one month later, they’re back to needing money again. Our mission agency desires to “equip” them for sustaining support that comes from God through Jesus and practical day-to-day answers to their problems. It’s a balancing act that I don’t do a very good job with at this point. 9) Visiting the slum – this should happen in August as Jeremy desires for us to take our time before introducing us to that area. That’s our ministry so far. We have much more to learn. It is with heavy heart that I update you about Samuel, the young pastor I met in May and wrote about on my blog here, “They were…slain…” I just hung up the phone with Samuel and he is so overwhelmed. His mother just died about an hour ago. Samuel had asked if I could come by and see him this past week. So I had stopped by to check on him at his job as security guard at the place we stayed after first arriving in Uganda. He and I talked for a little less than an hour. He said his mother had fallen and the doctors had found cancer. He had other pressures of life hitting him, too. Yesterday he called to say they were taking her in for surgery and asked me to pray. I was on the way to Kampala on a bus, but assured him I would pray. He visited with her at the hospital today, left for the night to come home and they called him to let him know that she had died. The pressure on Samuel is heavy at this time and he needs your prayers and would appreciate them. He has now lost both parents in less than 3 months of each other. He told me he sold land in order to pay his mom’s hospital bills and his dad’s funeral, along with normal expenses. Many pastors here do not have income from being a pastor; they have to work, which Samuel does. I plan to stop by tomorrow (Saturday) when Michelle and I go into town, but he was unsure if he would be at work. I may not be able to see him until he returns from the funeral. Your prayers are appreciated for him. Followed up early this afternoon by making a visit to the hospital here in Jinja to visit the boda driver who was hit by a van in front of us last week (see story at 2 Accidents This Week). I have not shared his name because of privacy and the fact that our visiting and his responses could lead to possible harm to him due to his profession of faith in Jesus. I just want to be safe. We last visited Saturday when he was still in pain and vomiting, though he had improved and was receptive to prayer, anointing, reading of Scripture and our visit. When Andrew and I walked in today, both the boda driver and his roommate were sitting up. When both saw us, both had a big smile and both extended their hands for very warm handshakes. The boda driver showed us his injuries, which over the weekend had healed quite nicely. He had no more vomiting, no more pain. The deep cuts looked incredibly good. His roommate was sitting on the side of the bed – this was the first time we had seen him sitting up – and clearly on the mend. Both men were so thankful – they allowed us to read more Scripture, pray, and shook our hands at least 3 times each (all with big smiles). And both were going home from the hospital today! Praise God! Jesus is AWESOME. It is such an encouragement to see when this kind of healing happens. It’s not as often as I would like, but it is so encouraging! These men and their families were simply ecstatic when we left and wanted to share their phone numbers with us. The one man said he wanted us to come to his house later. The most important thing is that God is glorified and that these men and their families put their trust not in healing, but in the free gift of God’s Son, Jesus. One professed to be a believer last Friday. 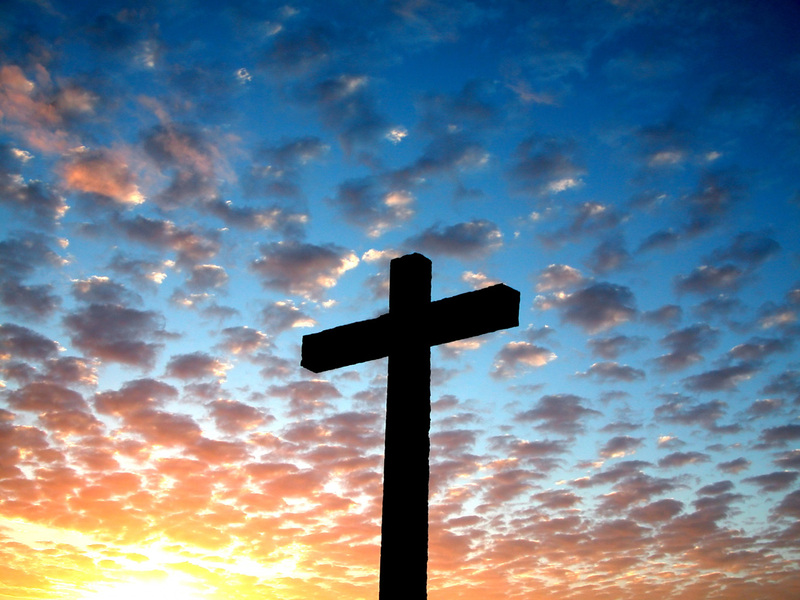 Now both profess to be believers, and the one that believed before seems to have had his faith strengthened. It is my prayer God will continue to strengthen both of them in their faith and walk with Him. Update about what’s happening with us, but first just a note to say it’s amazing to see how my experience has led up to this job here in Uganda. I will be working on developing policies and procedures and a handbook for volunteers and new missionaries who arrive on the field with Equip. I was told by Jeremy and Chris at our first Equip Uganda leadership meeting that my job had changed from 80% ministry / 20 % admin to 80% admin / 20% ministry. Although a bit disappointing, this is entirely necessary for the stage of growth that Equip Uganda is in. I look forward to assisting our team in getting Equip Uganda started. We’re working on mission statement, vision statement, purpose statement and other admin things that will better develop the direction for the organization in years to come. One of the biggest challenges we face is coordination with other NGO’s (non-government organizations). We hope to set up some coordinated efforts to make ministry in Jinja, and specifically Masese slum more efficient, with better communication. 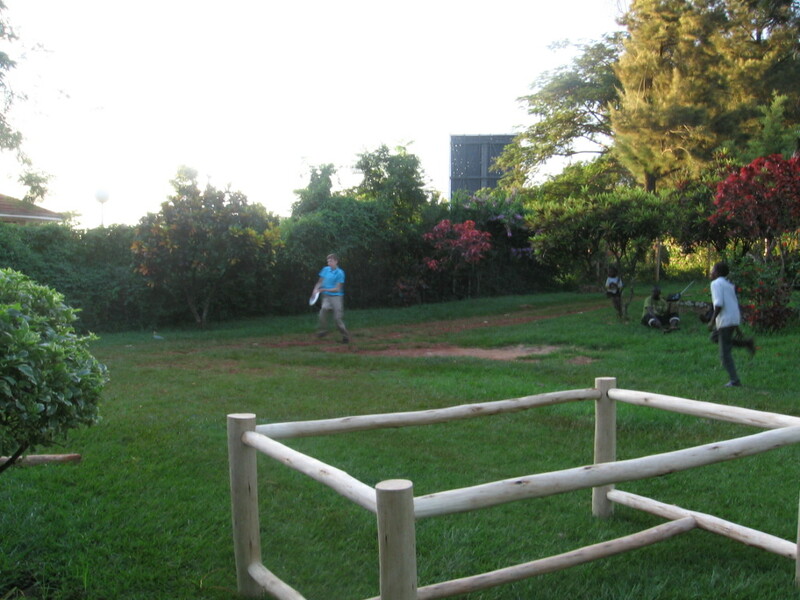 Tuesday, June 4th we move into the Sperlings home, about 5 miles or so east of Jinja. We spent most of the day settling, organizing and cleaning our stuff. it. The kids are doing great and the parents…not so bad. The CD has some mistakes, we’re finding out. The CD says “please” in Luganda is embwa. However, embwa means “dog.” So you can imagine why our restaurant server looked at us funny when we thought we said, “Please” and we really said, “dog.” Not good. important was to get a quote to install mosquito screens for the windows in the house, in order to cut down on malaria. Finally I begin driving in Uganda! This is insanity – driving on the opposite side of the road and the drivers seat, gear shift, rear view mirror, radio, signal lights, etc. etc. all opposite. The only thing that remains the same, thankfully is that the gas is on the right foot and clutch on the left foot. Oh, and backing the vehicle is opposite, too. Pedestrians have no rights and yet they will walk in the road. Vehicles stop in the road. Botas (small motorcycles) drive the wrong way on the road. Traffic drives in the evening with no lights on or their high beams on. Stop signs are disregarded by everybody. No such thing as lanes – if you can squeeze by, then do it no matter where you are on the road! Speed in reality is somewhat regulated by using potholes to slow traffic. They will use speed bumps, too. You really take your life in your hands. I haven’t prayed like this before when driving – seriously. Thursday was men’s group and meeting with teammate Jeremy for our monthly Equip team meeting on Friday morning. More driving! We also shopped in town for basic necessities around the house – remember we’re somewhat starting over again. Friday – Equip Uganda monthly meeting discussing past months activities, future plans, better coordination of activities, communication, financial reporting, mission, vision, purpose, etc. 2nd quote on the mosquito screens since the first quote was so high. Passport photos for new drivers permit. Repaired some minor things Friday evening around the house. Paid the water bill. Got groceries. All this stuff takes extra time due to things like language, not knowing the area, new money, new culture, etc. etc. A number of times I feel like I’m being cheated. I was charged $25,000 shillings (about $10) to repair a zipper on my suitcase from the trip here, when I found out I really should have paid only about $5,000 shillings. The guy charged me higher because they assume because I’m white I have money – in the US some people consider that racism. Here, discrimination is part of life. Saturday – personal time. Michelle meets with a fellow missionary wife. Mark takes care of some personal business. 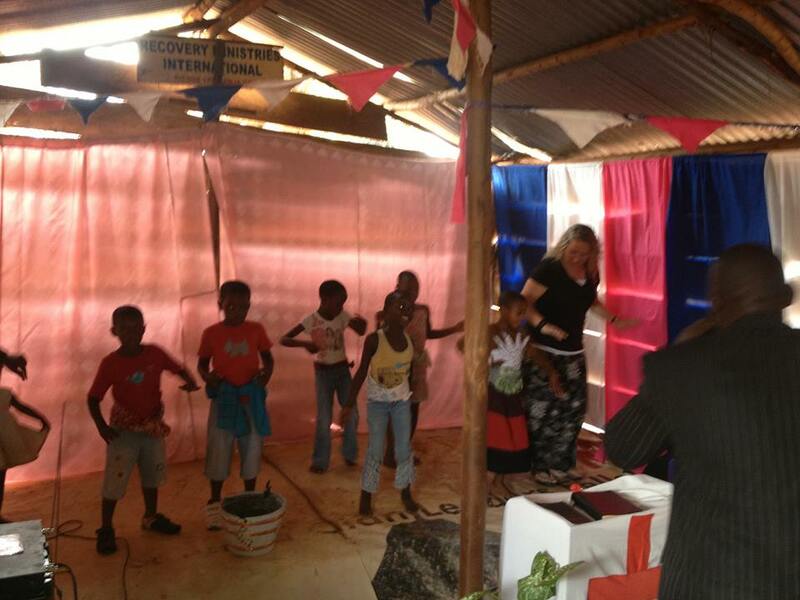 Sunday – FB a request from a supporting church to provide information about missionaries (that church has VBS this week). Attend our church in the morning. Lunch at our house with one of our Equip teammates. 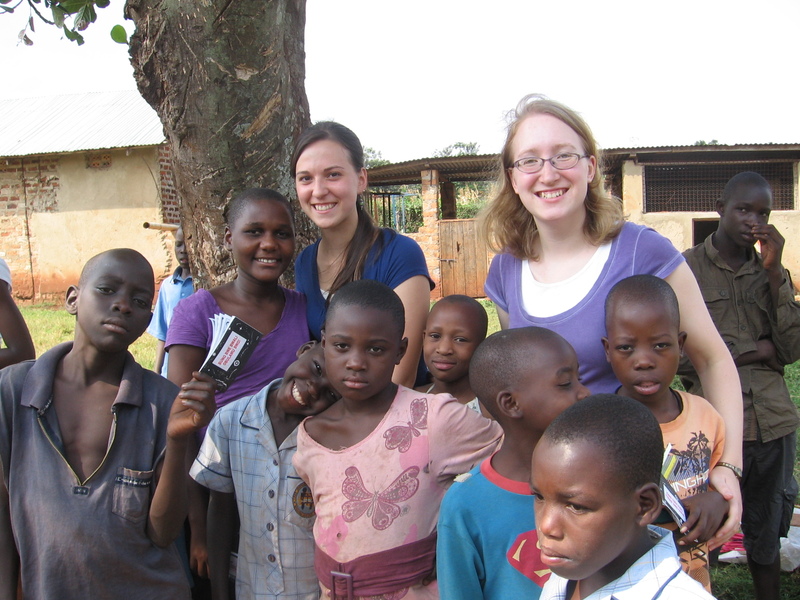 Bible study at another missionary home at 3 pm – meet new interns from the States; Michelle and girls attend a missionary appreciation dinner at 6 pm for females (moms and wives), while I write our blogs. It’s 12 midnight. I’ve got to get to bed! Monday morning 8:30 am – ride with Luke and others to Kampala (3 hours away) to get my drivers permit and learn about immigration while there, since I will have to apply for a work permit in July. This past week has more to do with settling into the house and culture than most anything else. Thanks for prayers! They mean more than you know! I was able to sit down with Samuel on Monday (20th) for a couple hours and listen to his story. This was his first day back from his home in North / Central Uganda after his father’s funeral. 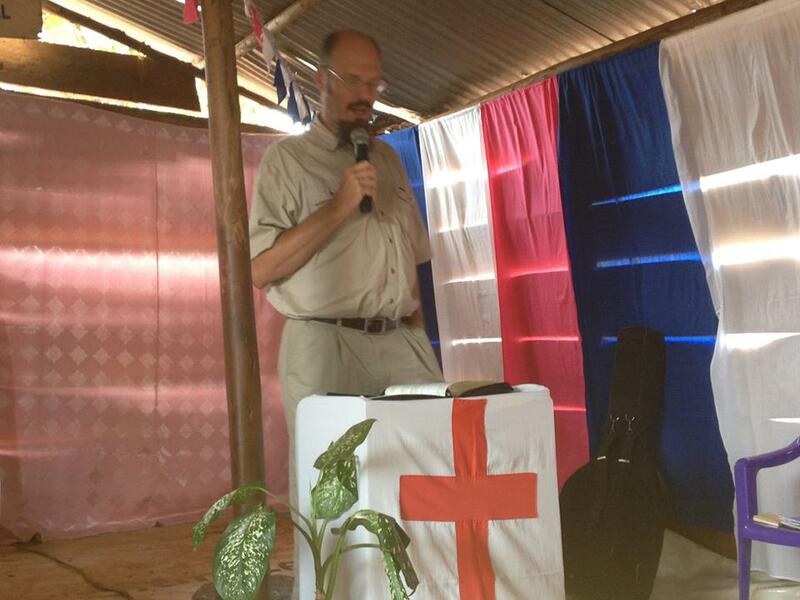 Samuel’s father, a believer, was murdered in a machete attack. For the previous story about Samuel and his father, click the word, Relationships. As I approached Samuel that warm Monday morning, Samuel was seated and reading a book in the shade of some pine trees, in a blue plastic chair, similar to the plastic ones we’ve bought at Wal-Mart in the States. Drawing closer, it was evident that he looked very tired. His smile was missing and when he did cheer up briefly for the pleasantries of the initial greetings, it seemed to be with effort. If you have gone through a tragic loss and resulting funeral, I’m sure you can relate. 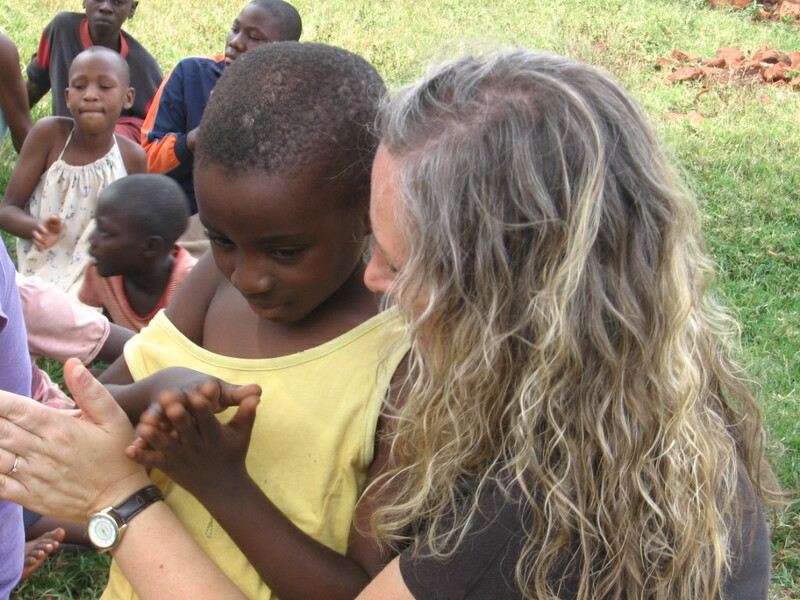 Samuel stretched out his hand for a normal Ugandan greeting, which is a Western handshake, quickly changing to a “brother” handshake (where the thumbs interlock, hands elevate while the elbows drop), back to Western handshake, back to “brother” handshake, back to Western handshake. I quickly debated in my mind whether to dispense with the handshake altogether and just hug Samuel as most Westerners would do during this serious and sobering time. I had hugged Samuel after he had received the news of his father’s murder when he dropped by our house, prior to his leaving for his home. That hug was natural and sincere from me, but seemed very unnatural and perhaps a bit uncomfortable to him. Even his co-worker, knowing the gravity of the situation, only extended his forearm at that time (another cultural practice when one’s hands are dirty from working). So I decided this time a warm handshake would be best. It seemed to work fine, but on my end it seemed sorely lacking. Samuel offered me his chair – the only one around – by saying, “Please,” and extending the chair to me, to which I politely refused. The nearby threshold of the guardhouse door was elevated enough from the ground to make a relatively comfortable, although dirty seat. Samuel gathered some photos from a very worn and torn envelope, and held them in his hand. Just to quickly fill you in, the good news is that the outlook for Samuel’s mother is very good. It seems she will survive. The photos he held out for me were photos of his mother at the hospital, wearing bandages over the deep cuts from the machete attack: one across her back right shoulder, dropping down to her side; another across her head; and a third across her lower back. Deep wounds, the perpetrators intended to leave no survivors. After formalities, greetings, and the photos Samuel shared his honesty in questioning, “Why?” but quickly gave testimony to his trust in God’s sovereignty from the Bible through this horrific event. He chatted for a few minutes about his faith and God’s nature. He eventually moved into the facts of the story as he knew them. He said the local people know who carried out the murder (and his mother is witness, too, since she survived). The man (we’ll call him the ringleader) who developed the ghastly plan and carried out the brutal murder, allegedly convinced the ringleader’s brother to get involved in the attack. They also hired a third person. This ringleader apparently had been raised on this land and wasn’t happy that Samuel’s parents purchased it and built a house on it. Apparently land disputes, especially north of here in Jinja can be violent. According to Samuel, it turns out the murder was over land. The ringleader was quite serious with his scheme to kill Samuel’s parents. In an attempt to succeed in his plan, he visited a local witchdoctor to gain power to take the two lives. Samuel showed me photos of where the machetes hit the walls. Samuel recounts that while he was at home last week, the villagers found and cornered the ringleader. The villagers called Samuel on their cell phone (amazing how technology has gotten into third world countries) and asked if they could “finish him (the ringleader).” Samuel, being a Christian, chose instead to let justice be worked out patiently and orderly through the established governmental system. This is a step of faith for Samuel, as you will soon see. Samuel then calls the police to notify them that villagers have cornered the alleged ringleader and asks the police to go get this guy. The police then ask Samuel for money to purchase 4 liters of gas for their police car, otherwise they can’t go. I couldn’t believe what I just heard. I clarified and restated what Samuel had just told me. Samuel said, yes, he had to purchase the gas for the police car. So they get in the police car and go after the ringleader. The leader from the village, who has the ringleader cornered, calls Samuel back on the cell phone about carrying out revenge. This leader wants Samuel to give the OK to kill the ringleader. In fact, one clan wants to fight another clan. Samuel and other family members insist that this not happen. He is insistent that justice should be served through the proper channels. As Samuel and the police close in to within a couple kilometers or so, from the cornered ringleader, the man who is leading the villagers to corner the ringleader, gets mad at Samuel and convinces enough of the villagers to let the ringleader go free. So, he escapes. Unbelievable. Thankfully Samuel says, they eventually find and catch up with the alleged ringleader, put him in jail, along with his brother and the witchdoctor. The hired help, on the other hand, apparently fled and has not been captured. It’s not uncommon in Uganda (even in Jinja) for villagers or community groups to catch a suspect and beat him or her, even more rarely kill them, as they are being dragged to the police station. I am told by others living here, that often the police will sort things out according to who offers the police the most money. So the community turns to their own twisted form of justice. The burden the family of a murdered loved one has to go through in this country with police and the funeral is different and surprising. For example, the family, if they do not have funds for the funeral, begs or borrows money (permanently) from friends. According to Samuel, the price of the funeral including related costs like travel and food (not including hospital expenses for his mom) totaled more than $3 million Ugandan shillings (about $1,200 USD). I have no way of verifying this amount. I am divided as to whether I should have shared that amount. I am not asking for money. First, I talked to other missionaries about how I should respond. There isn’t a clear answer. Money has a way of sending relief, but also causing tension and relationship problems, similar to how winning a large lottery brings initial relief and pleasure, but hassles and problems quickly arise with relatives and friends who want part of the money. Additionally, money is not the ultimate answer to problems. I’m learning this lesson being a missionary. I could write pages about this lesson alone. God is the answer to our problems. Where He provides money, it is sweet. When He doesn’t answer with money, shouldn’t our response to God saying, “No” be contentment and ultimate satisfaction in Him? Again, I have no way of validating the amount or ensuring that if someone did want to give that the money would get to the appropriate place. I trust Samuel, I just do not know. I’m trying to be as upfront and honest as I can be. Samuel spoke of many things during the brief couple hours I was with him. We talked of his responsibilities as a pastor, his future, his family, his faith, his world contrasted with my world, etc. As this week progressed, Samuel seems to be doing a bit better – at least on the outside. His smile has returned, although not as big and lasting as it was when we first arrived. Each day I leave the house I see Samuel reading his Bible or a Christian book. We chat and talk. But what shines through? Samuel’s faith in Jesus Christ! Wow. To be honest, I get a bit choked up seeing, hearing and witnessing Samuel’s faith, commitment and determination to his Lord and Savior when that same Savior allowed a test of faith – his father slain by the sword (or machete, as it may be). God is receiving glory, granted it’s only been two weeks Saturday. I asked Samuel if he has forgiven the attackers. He said he thinks he has, but he said he could not face them. It’s difficult, as I think anyone could imagine.